This trip is available for instant booking. Craving a fun-filled family holiday? Head over to the majestic Khao Yai for experience a family vacation like no other – and it’s just a 3-hour drive from Bangkok! This idyllic town has many exciting attractions for a fantastic family holiday – from vineyards with mountain views and fun farms, to adventurous locales like cowboy-themed parks and Khao Yai’s famed National Park. 10 Tips/FAQs for all travellers dreaming of going to Khao Yai! To make your family trip to Khao Yai filled with excitement and adventure, we have planned the ultimate 3D2N OR 5D4N family itinerary for you! Note: How long should I stay in Khao Yai? – Some travellers choose to spend half their trip in Khao Yai (3D2N), then head back to Bangkok for the other half of their vacation. – Other travellers prefer to spend an entire vacation (5D4N) in Khao Yai alone. We have the perfect itinerary for both options – go ahead and explore the family itinerary below, and make unforgettable family memories in the dreamy land of Khao Yai. Just for our dear readers, get 8% OFF any first-time bookings (capped at S$15). Simply apply the promo code ‘TRIPCANVASTH’ when you check out! Have you heard of Klook? If you’re on the lookout for fun things to do in Khao Yai, and hate the hassle that comes along with finding more information or booking tickets – try Klook. With tons of fun options with great prices, you’ll never run out of things to do. There are even great services that make travelling easy and convenient! Better yet, check out Klook’s customisable Khao Yai itinerary with private driver to discover different activities you’ve never heard of. Not only will you get to customise the adventures you’ll have in Khao Yai, all the information you need are listed there. So everything you need is easy and convenient – just the way we like it! This itinerary will cover everything needed to cater to your endless family needs, from suitable accommodation to wonderful places to visit and eat. We’ve even plotted out the routes for you, so your journey will be less tiring and more exciting! 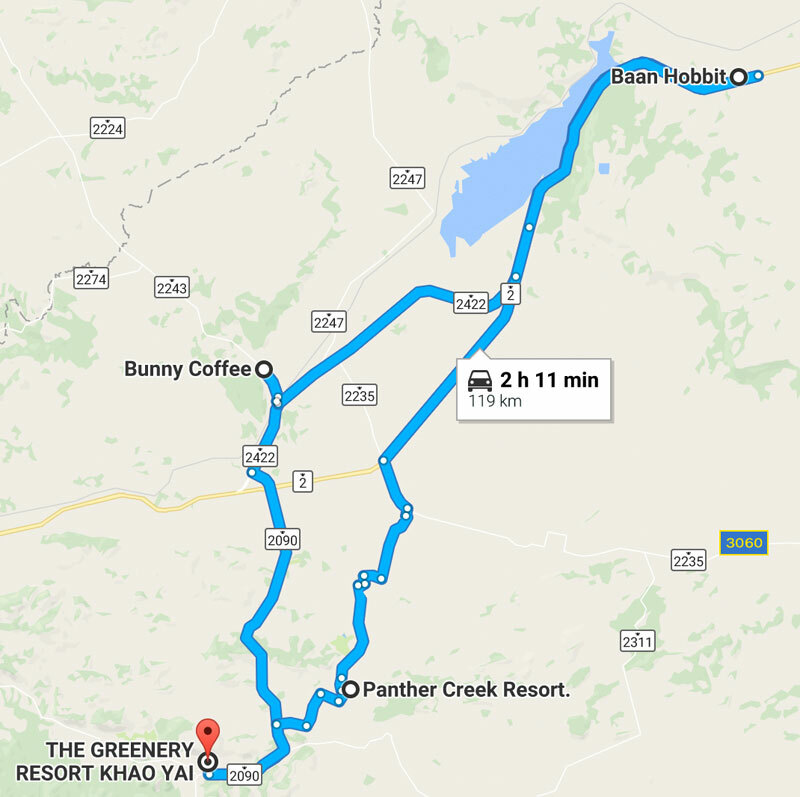 When to travel to Khao Yai? 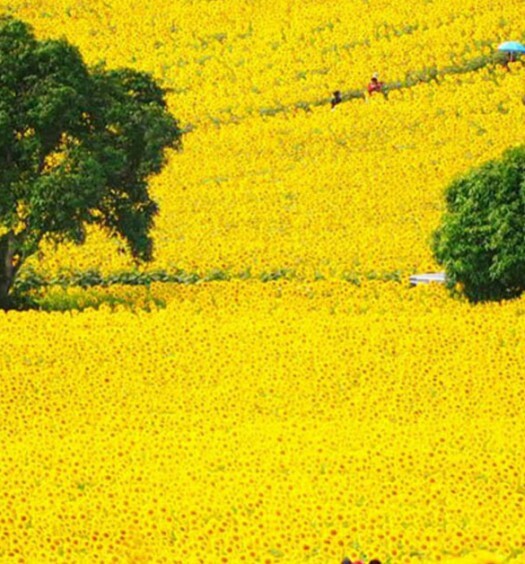 The best time to travel to Khao Yai would be during the winter season between November to February. This is when the weather is absolutely perfect, and waterfalls actually have water in them. If you travel down outside of the winter season, the weather can get almost unbearably hot (not kidding at all)! Go on a winery tour and make an Italian escape to Primo Piazza! Once you’ve landed in Bangkok and made your way to Khao Yai, an endless list of thrilling places to visit awaits you! After a long ride from Bangkok to Khao Yai – enjoy a fantastic lunch with majestic vineyard and mountain views here. After that, feel free to experience the Vineyard and Winery Tour – check out the vineyards, how wine is made, and have a wine-tasting session. Find out more on Klook! Primo Piazza is a must-visit Italian-inspired landmark with much beauty, peace and tranquility. The family will have a fun time at the barn feeding playful Llamas and Alpacas. Feel free to walk around to take photos while checking out the sights and shops! Before heading back to the your resort, enjoy a sumptuous family dinner at Chocolate Factory. Indulge in Western and Thai delicacies, as well as superb desserts, as you enjoy an uninterrupted view of the stunning surroundings through the restaurant’s glass windows. Lunch in a riverside museum and shop away in Tuscany at Palio Village! Before heading out to another adventurous day, fill up your empty stomachs by having a quick breakfast at the resort! Have a fun time with your little ones by completing the hedge maze at Pete Maze. Be ready to spend 45 minutes before you find an exit out of this thriller maze! PS: Grab your drinks at the café in the gardens to keep you fresh and hydrated! After draining your batteries at Pete Maze, it is time to recharge them! Gorge on some delicious authentic Thai dishes at this museum restaurant by the river – and enjoy your meal with your loved ones while relaxing in a forest-like ambience! 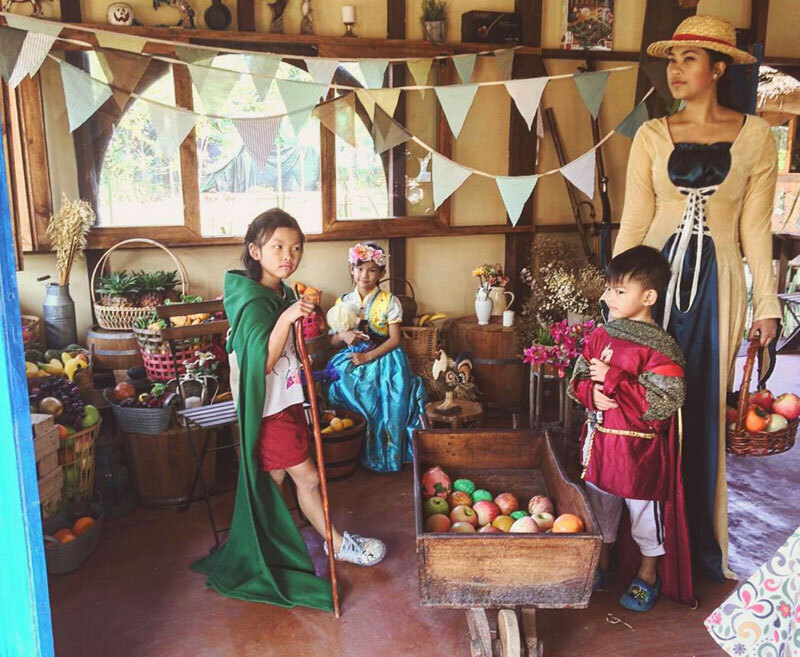 There are tons of interesting activities lined up for your kids at Farm Chokchai! An educational farm tour inclusive of buggy rides, fun fair games, horse riding and other delightful pastimes will make your family time fun and memorable. Get away and enjoy a spot of shopping at the picturesque Tuscan-themed Palio Village. There’s an endless list of shopping options (bespoke products on offer) – live entertainment and independent stalls serving light snacks along the walkways. Feeling peckish after a long, tiring day? Devour mouthwatering dishes and dine in style at The Mew Khaoyai. An exquisite restaurant with impeccably fun and luxurious outdoor seating with cushions laid across the lawn will elevate your family dining experience! Will it be your final day in Khao Yai? If yes, then spend some relaxing moments at Bunny Cafe before leaving for Bangkok. Otherwise, continue on to spend a fun-filled day at Panther Creek Resort! Looking for a simple place to relax with food and small entertainment for the kids for breakfast or lunch? At Bunny Coffee, kids will have fun interacting with the little bunnies that are littered (literally) outside the café – while the adults enjoy food and a smoothie or two. Note: If you’re planning to head back to Bangkok today, you can travel back from here itself. This incredibly unique place combines fantastical adventure and Hollywood in one quirky place – you’ll even have the opportunity to dress up like a movie character. Panther Creek Resort has something for everyone with tons of live entertainment and leisure options for kids. Enjoy the wacky Wild West decor and activities like horse and bicycle riding, kids’ playground and western style swimming pools – before ending the day with dinner here! No trip to Khao Yai is complete without a day’s visit to Thailand’s first (and one of the most visited) national park. If you’re spending more days in Khao Yai, it definitely makes sense to include a day trip to the famous Khao Yai National Park. Listed as a UNESCO world heritage site, this huge park is blessed with breathtaking waterfalls, majestic mountainous landscape and rich biodiversity. Enjoy kid-friendly activities here such as – hiking in the jungle (easy treks for families available! ), and a quick visit to one of Khao Yai’s majestic waterfalls. PS: Klook’s customisable itinerary with private driver gives you the opportunity to stay overnight in the park. This means you’ll be able to stay for the Night Safari – and if you’re lucky, you might be able to catch the wild elephants too! Note: Roaming around the beautiful landscapes of the park will take up half of your day, so remember to carry some snacks and lunchables with you to have on the go! After all the adventure in the park, spend more quality time with your family at Kua Kampan! Using local ingredients from the surrounding waters and nearby farms, we personally guarantee that this restaurant serves up truly delectable Thai dishes in a blissful dining setting. Visit the artsy and colourful Secret Art Garden and have lunch at the Dairy Home Farm Shop for a sweet ending to your family vacation. Make a quick stop at the Secret Art Garden and stroll around the lush gardens with your kids. Take pretty family photos amidst the beautiful pieces of art along the way – it’s Lunch with picture-perfect views with farm fresh food – Dairy Home Farm Shop the perfect way to capture memories to last a lifetime. Before heading back to Bangkok to catch your flight home… Savour picture-perfect views of the organic farm, while dining in a farmhouse sanctuary. Feast with fresh ingredients from the farms, and don’t forget to try out the desserts – including a wide range of delicious homemade ice cream! Love the itinerary? Whether it’s the 3D2N or 5D4N trip you choose, Klook will help you to achieve your customised itinerary to satisfaction! There’s no shortage of fun things to do at Khao Yai, so what are you waiting for? Book your next trip to Khao Yai and enjoy the incredible family vacation waiting for you! a) The most convenient option we highly recommend is to book your transport (city transfer with driver) online with Klook to travel from Bangkok to Khao Yai. You and your family will be able to comfortably spend time together while on the road, as the local driver brings you around the best places in town! b) Alternatively, if you’re confident driving on unfamiliar roads, you may rent a car in Bangkok for your time in Khao Yai. Simply load the directions on GPS (or Google Maps on your phone). The journey is relatively straightforward, and will take up to 3 hours. The best part? Having a car will make exploring Khao Yai that much easier! When renting a car, make sure to check your rental car thoroughly – from ensuring that everything is working fine, to when it was last serviced. The faster alternative, minivans located at Victory Monument travelling directly to Pak Chong leaves every 2 hours and cost from USD $5 per seat. Get to Victory Monument and find minivan companies on the south exit of the BTS skyline station, on the small stretch between Century Plaza and 7-eleven shop. Resorts can also provide a one-way private minivan to pick you from your hotel in Bangkok for approximately USD $98 for up to 8 people. If you’re looking for options to get around, we have you covered. In Khao Yai, one definitely needs a car to get around. Whether you would rather have a private chartered car or prefer driving around yourself – getting around can be simple! Klook provides a great private chartered car service that’s not only affordable, it definitely makes getting around extremely convenient and comfortable. Greenery Resort Khao Yai is an incredible family vacation stay – think panoramic views of majestic mountain ranges, and the perfect location situated near everything. Greenery Resort in Khao Yai is definitely what a happy family place looks like! Inspired by the famous Thames River in London, this unique hotel in verdant Khao Yai transports its guests to a different time and place. From the lovely swimming pool to the garden maze where you can play hide-and-seek with the kids – there’s also the lush Rose Spa for parental relaxation. Don’t forget to have high tea in the tearoom, and a delicious evening roast at Castle Restaurant for an evening roast followed by a stroll along the river. PS: Do try the honey toast at Castle Restaurant. Every bite tastes like heaven! Loving the great deals on Klook? You’ll love these benefits too! From skipping the usual queues to convenient e-tickets (no printing required! ), Klook knows exactly what travellers need. Most activities have instant confirmation where e-tickets will be sent straight to your mobile phone once the booking has been made. This means you can make a booking outside the attraction and receive your tickets on the spot! Some Klook activities have special line entry that lets you join a separate and often much shorter queue compared to the long lines at some attractions. 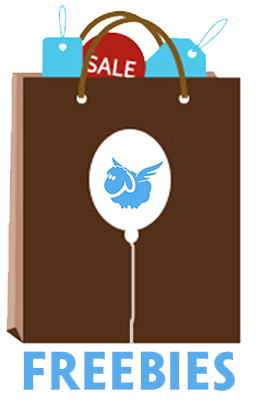 Almost all Klook activities accept mobile vouchers, which means users do not have to print out a physical ticket. Apart from being super convenient, it’s also environmentally-friendly! Check out the dedicated mobile app on iOS, and Google Play that allows you to book activities and attractions on-the-go. PS: They have more than 40,000 activities & experiences across 200 destinations in Asia and over 3 million verified user reviews of Klook activities with 99% positive ratings! A passionate reader and writer, who loves to free herself from her usual working environment by dedicating time and effort in producing innovative and creative write-ups. Over the years, Aqlima developed an interest in trying out new things that could add a bit of a flavor to her life. Apart from writing, learning new languages is what she enjoys doing the most!